Summer is pure magic in the Dolomites. 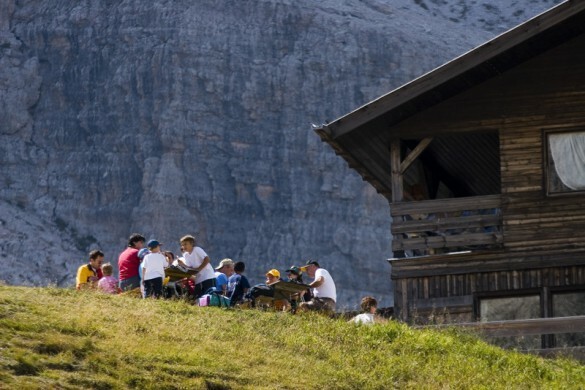 Of course, there are the “typical” summer mountain pastimes… hiking, biking, climbing, and via ferrata, but add to that Sellaronda Bike Day, choirs high up in the mountain huts, and a horse parade – there’s so much to see and do! Want to learn more about our favorite places and summer events to explore here? Read on! Intrigued? Be sure to check out our summer trip itineraries, and contact us for more information on booking your vacation in the Dolomites! The largest lake in all of Italy, Lake Garda offers a magical combination of beauty, culture and history, opportunities for active and leisure activities, and a perfect climate, which combine to make it a fantastic vacation destination. What’s more, it is the least well known of all of Italy’s lakes, making it a great place to explore and discover! The term “rifugi” translates to mountain refuge, and the Dolomites offer a vast network of these mountain huts located throughout the region. 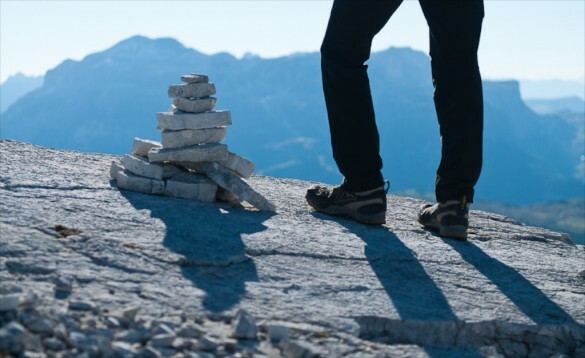 Ranging from simple and rugged to more comfortable amenities, they all offer suitable and welcome shelter to walkers, mountaineers, skiers and anyone desiring to get up close and personal with the beautiful terrain of the Dolomite Mountains. 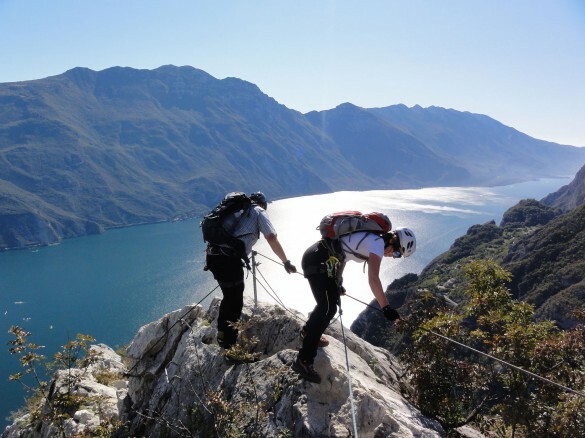 These routes vary in difficulty and allow access to areas otherwise unreachable, thus providing breathtaking views and an experience not to be forgotten. 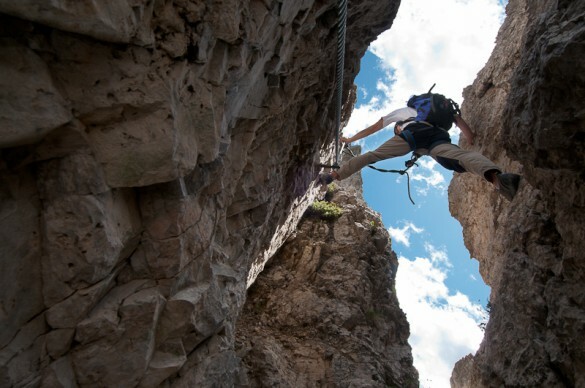 Of the many available via ferrata paths found in the Dolomites, the following five are relatively easy to tackle and are excellent for first time climbers. 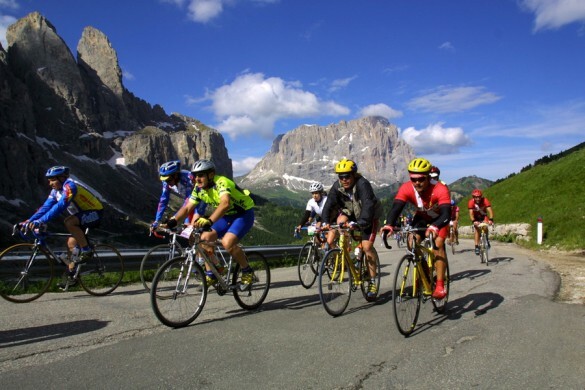 The Sellaronda Bike Day is a relaxing, non-competitive bicycling event that is open to anyone who wishes to participate. 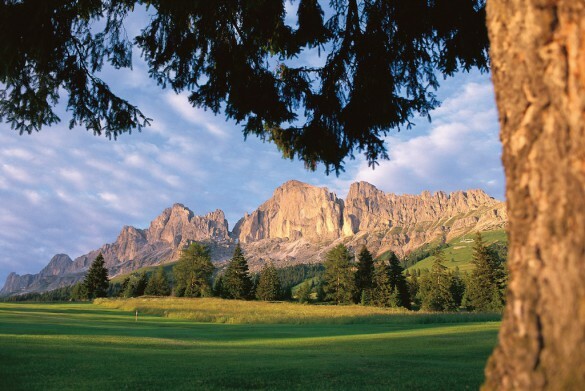 During this day, held twice per year, the world famous Sellaronda tour that travels around the Sella Mountain in the beautiful Dolomites is reserved for visitors who prefer to enjoy the area on two wheels. 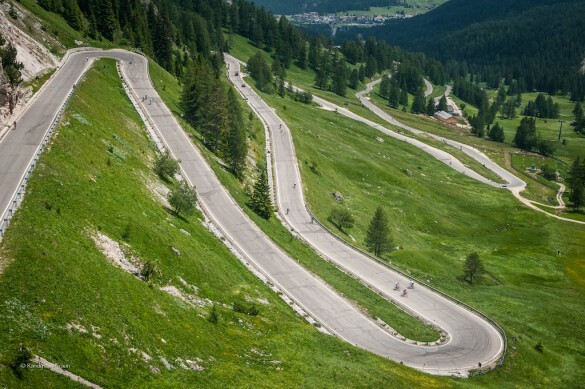 Each year the beautiful Alta Badia region of the Dolomites Mountains embraces the spirit of magic that comes from thousands of cycling enthusiasts who meet annually to ride together through the streets of Alta Badia and along the peaceful Dolomites pass roads. Orienteering is an age-old sport that originated in the Scandinavian countries. It has since spread and continues to gain popularity amongst sports enthusiasts from around the world. 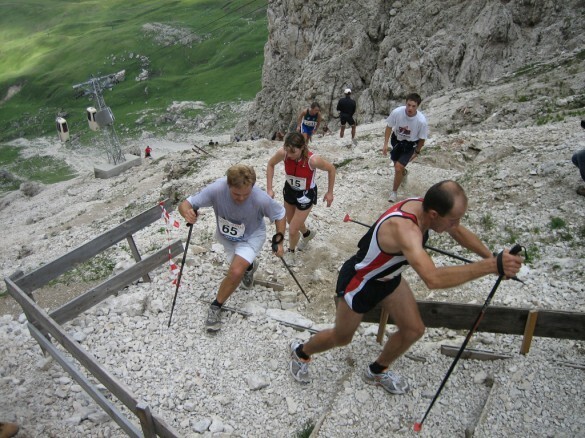 Each year Alta Badia is home to several fantastic orienteering events. 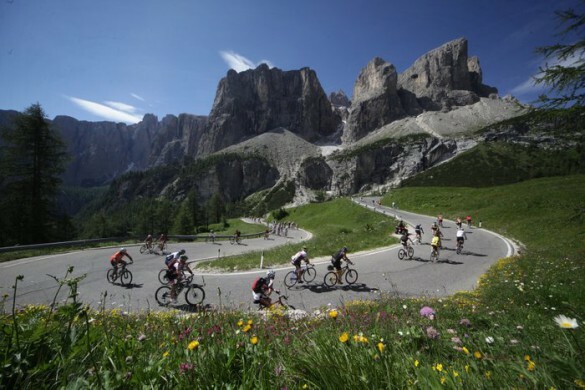 If you’re a cycling enthusiast that’s up for a challenge, you won’t want to miss the opportunity to participate in the Sellaronda Hero, which is considered to be the hardest mountain bike race in all of Europe. The difficulty is somehow offset by majestic splendor of one of the most beautiful natural landscapes in the world, the Dolomites. 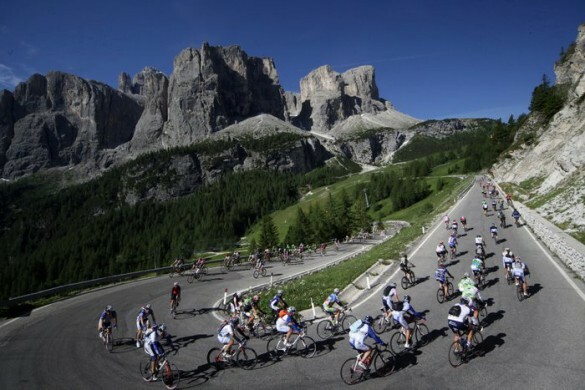 Get ready to enjoy one of the best bike tours in the world – the Dolomiti Bike Tour. This race is as beautiful as it is challenging, with the surrounding Dolomites presenting a breathtaking backdrop. 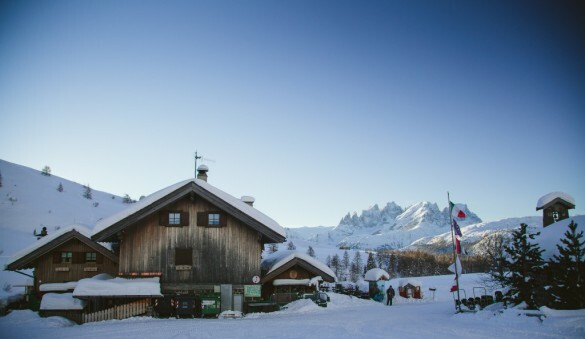 Nine charming mountain huts in the fabulous Alta Badia valley of the Dolomites offer visitors a little taste of heaven with their selection of gourmet yet simple dishes. 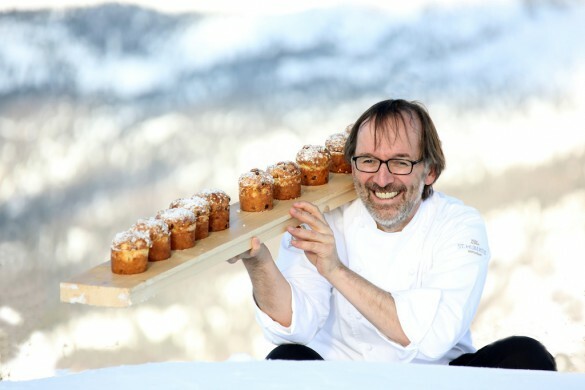 These traditional meals provide the perfect choice after enjoying a healthy and invigorating walk in the mountains. 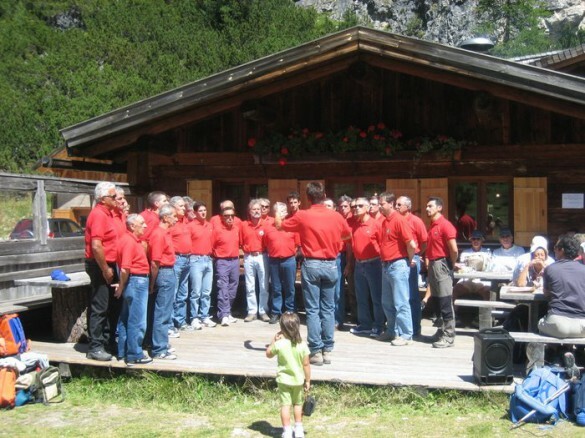 The cozy atmosphere of the Alta Badia mountain huts creates the perfect setting for choral events, against the beautiful landscapes of the surrounding Dolomites Mountains which can only be enhanced further by the sound of the angelic voices of the typical mountain choirs of the area. 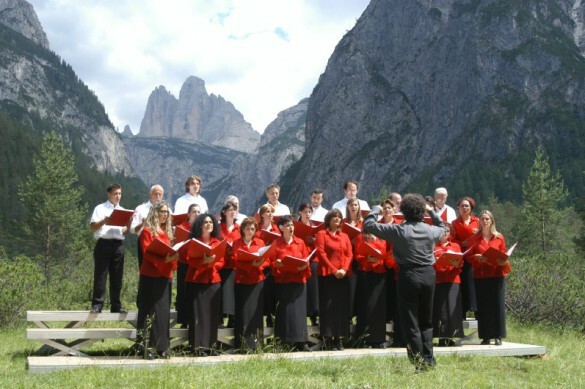 The Alta Pusteria International Choir Festival is a non-competitive musical event which takes place every year in the beautiful Alta Pusteria section of the Dolomite Mountains. 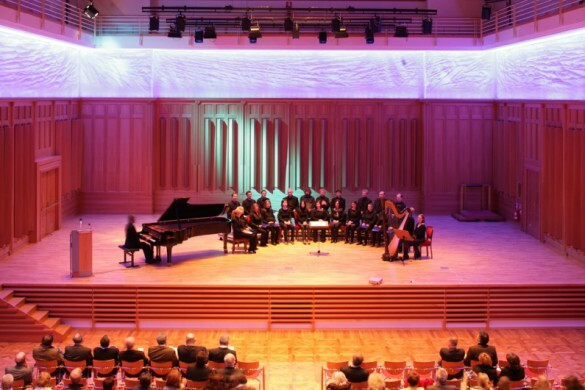 The Gustav Mahler Music Weeks represent a small but internationally acclaimed music festival located in Mahler’s summer retreat in the magnificent Dolomites. Each year from around the middle of July through the beginning of August, cultural enthusiasts flock to Dobbiaco and its neighboring villages to enjoy the festivities. 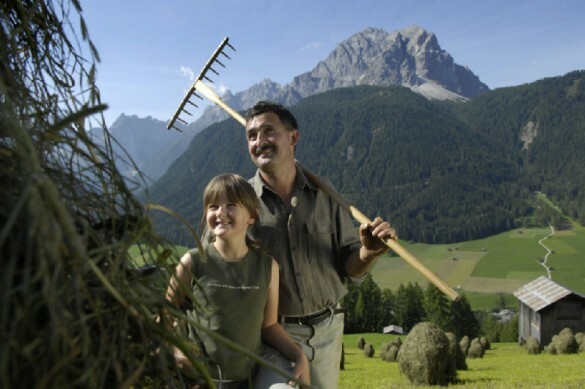 This event takes place in the market town of San Candido, one of the oldest in all of South Tyrol, where traditional farming has always been a way of life. 2012 will mark the 18th edition of the traditional Südtirol Dolomiti Superbike MTB marathon, which is scheduled to take place in Villabassa on the 7th of July. A spectacular and quite popular event among cycling enthusiasts, this year event organizers are expecting approximately 3,500 participants to take part in the race. 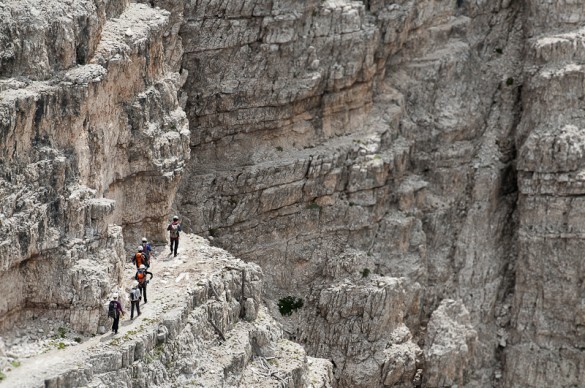 The Cortina Tolbach Run is enjoyed by running enthusiasts from across the globe who celebrate its challenging but breathtakingly beautiful mountain routes. If you plan to run in the Dolomites, this is the race for you! 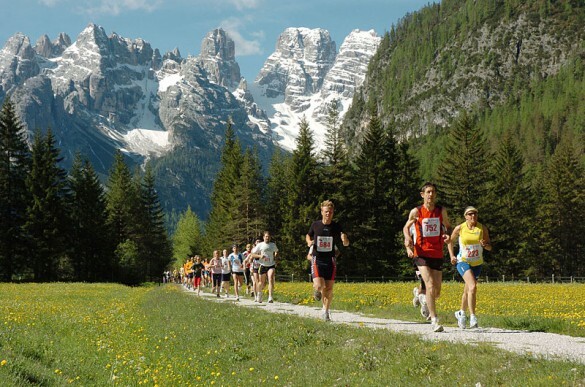 The Val Gardena Extrem Marathon is a spectacular running event that takes place in the magnificent Dolomite Mountains, offering some of the most incredible scenic views the world over. The rugged, challenging terrain of Italy’s Dolomite Mountains, combined with the incredible, breathtaking views and fantastic mountain atmosphere make it the perfect location for cycling enthusiasts to hit the trails and enjoy some of the most exhilarating riding on earth. When people think about marathons they typically envision a mass of people running on smooth, flat pavement toward the finish line. They rarely picture participants bundled in warm clothing, trekking up arduous mountain pathways into incredible altitudes while battling formidable elements such as wind, snow and ice. 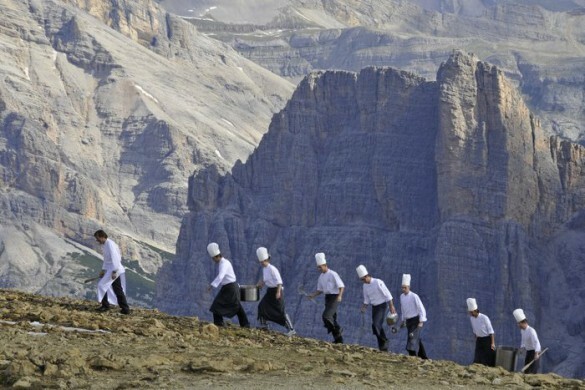 But that’s exactly what the famous Dolomites Sky Race entails. Like classic, fancy or unbelievably expensive cars? Enjoy breathtaking mountain views? 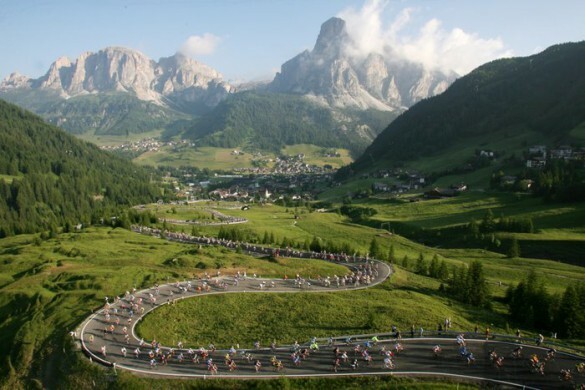 If the answer is yes, then the Coppa d’Oro Dolomiti is the perfect event for you! Each year since 1947 this amazing car race takes place along the beautiful mountain roads that wind through the Italian Dolomites. 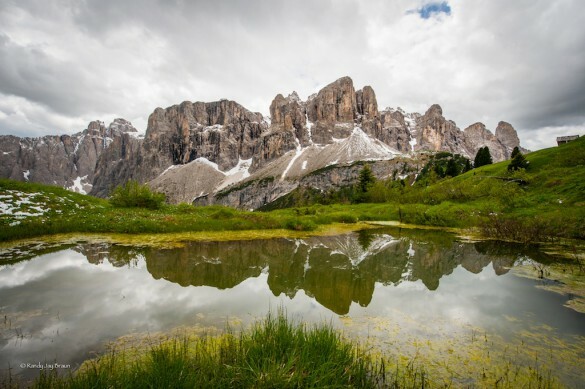 Ideally located in the beautiful country of Italy, the Dolomites Mountains are arguably one of the most breathtaking and memorable destinations on earth. Soaring peaks give way to rolling green valleys that are home to a friendly, unique culture of people who have lived in the area for centuries. As soon as one steps foot in Livinallongo the difference from other area towns is obvious. Homes and farms are established at much higher altitudes, immediately calling to mind the old isolated farmsteads that have perhaps become one of the most defining features of Alpine communities. 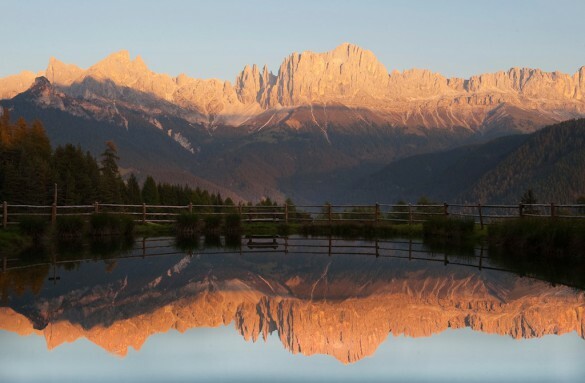 Visitors flock to Sesto for the year-round outdoor fun and to experience a true Dolomite mountain town. One thing’s for certain – you’ll never be bored in this location. Here are five reasons to add a visit to Sesto to your travel itinerary. San Cassiano has a number of excellent trails that offer fitness combined with magnificent views of the surrounding mountain ranges. It’s a fantastic way to experience the landscape while also getting your exercise. 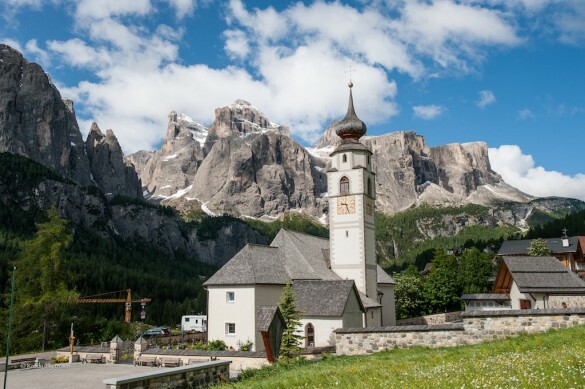 Lots of towns and villages consider themselves to be the “heart” of the Dolomites, yet the central location and many available links and connections to bordering valleys make Caprile one of the best contenders for this title. It’s the ideal starting point for summertime excursions like climbs, mountain bike adventures, hikes, walks and picnics. While the area is certainly ideal for winter activities, Colfosco is particularly great for fun in the warmer months. 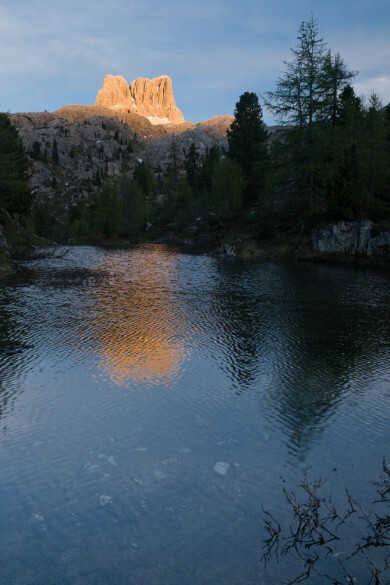 The fact that it’s surrounded by woods and gentle mountain slopes, as well as the fact that the area boasts a total of 8 high-altitude trails makes Colfosco perfect for those summertime hikes and mountain bike excursions. So charming and enchanting is Dobbiaco that it’s often referred to as the “gateway to the Dolomites” and once you step foot within its quaint borders you’ll quickly understand why. The reasons to visit Dobbiaco are almost too numerous to mention, but here are five that top the list. Since around the 18th century, Corvara has been serving tourists with its warm hospitality, fantastic views and incredible outdoor activities. 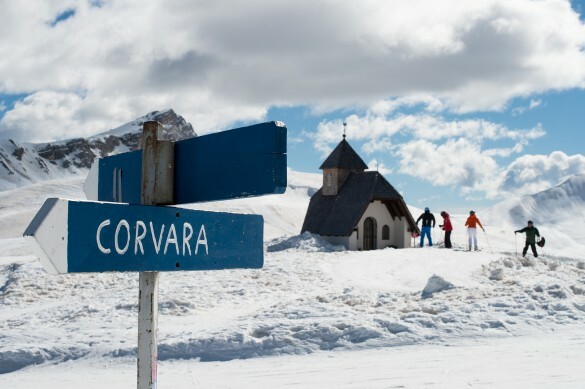 Yet despite its popularity among visitors, Corvara has somehow managed to maintain its ancient Alpine charm. If you can imagine a place, nestled in the mountains that offers exhilarating year-round adventure, amazing natural terrain bordered by soaring peaks and serene lakes, and an intriguing past that stretches back thousands of years you will have imagined the beautiful town of Auronzo. Well, the valley that existed prior to a massive landslide from Mount Piz in 1771, which ultimately formed the beautiful Alleghe Lake that sits there today. A rich history, which dates back to the 12th century, and some of the best outdoor adventure terrain make a trip to Alleghe an unforgettable experience. Here are five reasons you should add this ancient village to your travel to-do list. 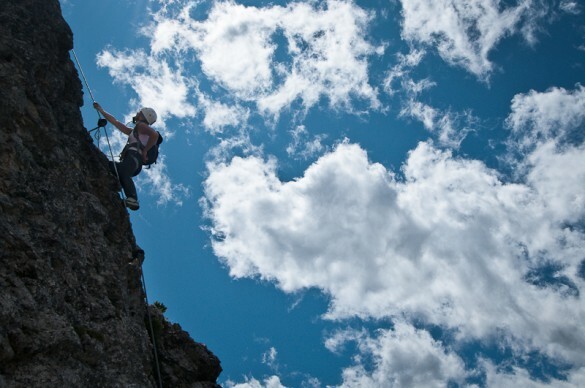 Belying the difficulty that lies ahead, actually reaching the ferrata is relatively simple. 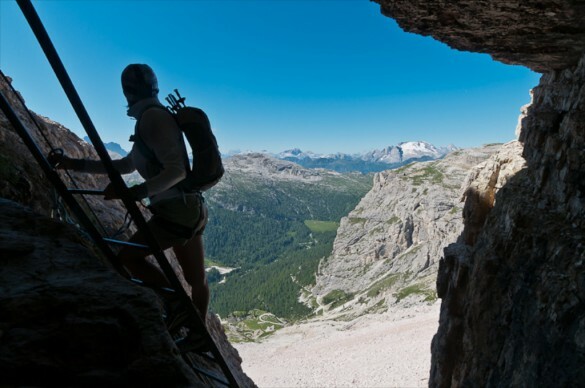 Access the ferrata by way of path 404, from the Rifugio Dibona, which will bring you underneath Tofana di Rozes to the steps into the Castelletto tunnel where the ferrata begins. Another refreshingly short but exhilarating ferrata, Nuvolau-Ragusela is perfect for a daytime adventure since it can be conquered in just a few hours. 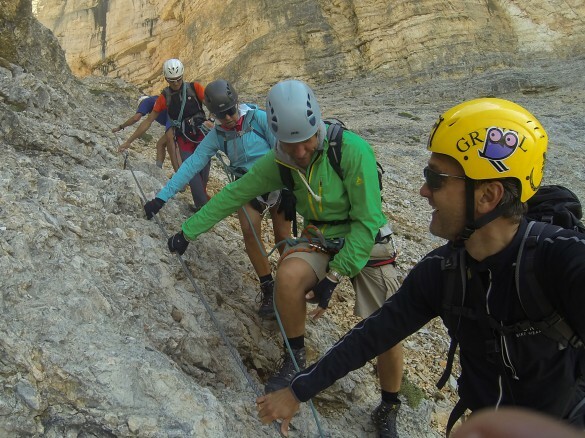 It’s also relatively easy and as such, is often used for training purposes so it’s great for beginners to be able to try their hand at the unique experience of climbing via ferrata in the Dolomites. Perfect for beginner climbers or those just looking for a short, pleasant trip, Averau provides everything you need to enjoy a lovely afternoon in the Dolomites. You can access this ferrata through a variety of ways, each leading to the metal plaque announcing its starting point. From Corvara, take either the Boé or the Vallon lift to reach Rifugio Kostner al Vallon. Or, follow path 638 from Passo Campolongo to reach the same point. 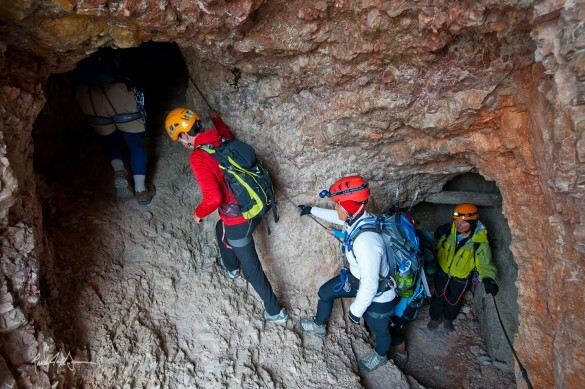 While all the via ferrata offer an incredible way to experience the Dolomites, this one may just have a slight advantage, particularly since the path itself follows an old wartime route including tunnels once used during the First World War. 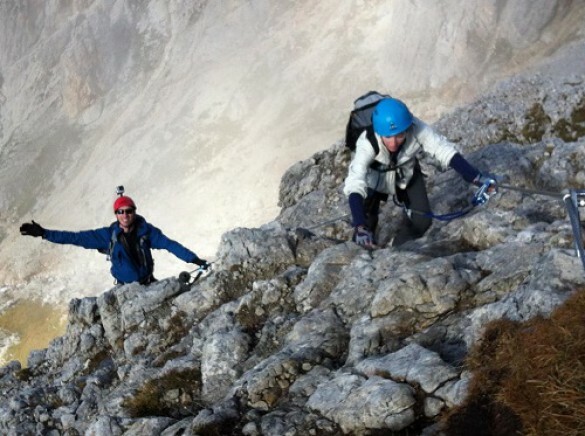 The Punta Anna via ferrata can be accessed from Rifugio Dibona by following path 421 to Rifugio Pomedes. There a sign posted path leads leftwards toward the start of the ferrata. The good news is, it’s almost entirely equipped with cables. Take one look at the magnificent Marmolada and you’ll know why this incredible massif is often referred to as the Queen of the Dolomites – its sheer size is awe inspiring. 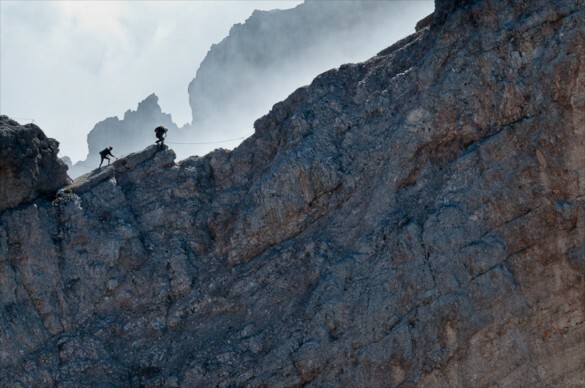 The fact that it can be tackled via ferrata makes it even more amazing. 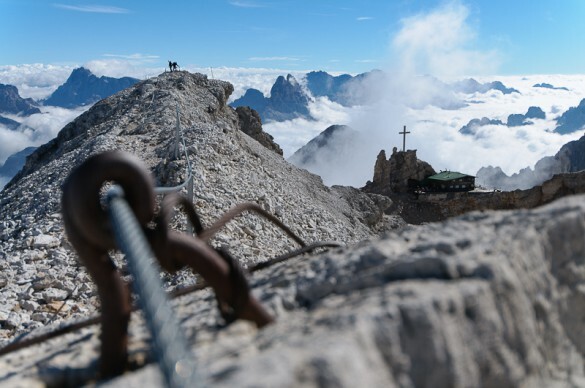 Because it is quite new and is still used for training by the Italian alpine military units, the Col dei Bos via ferrata is not marked on not marked on older maps or guide books. This means that climbing it is akin to enjoying a little hidden gem among the massive surrounding mountain peaks. 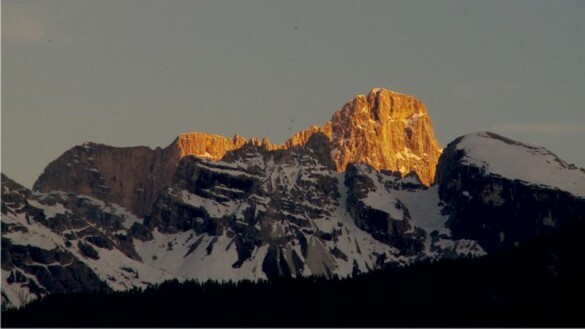 To get to the start of the ferrata, take the SS 48 from Cortina towards Passo Tre Croci to Capanna Rio Gere and where the Sonforca chairlift begins. 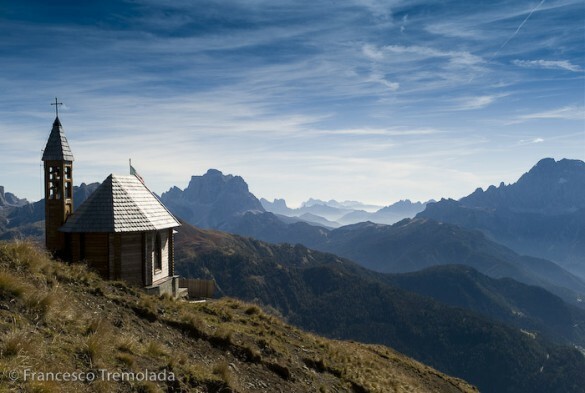 Take the lift up to Rifugio Sonforca and then grab a gondola to the 2919m Forcella Staunies. 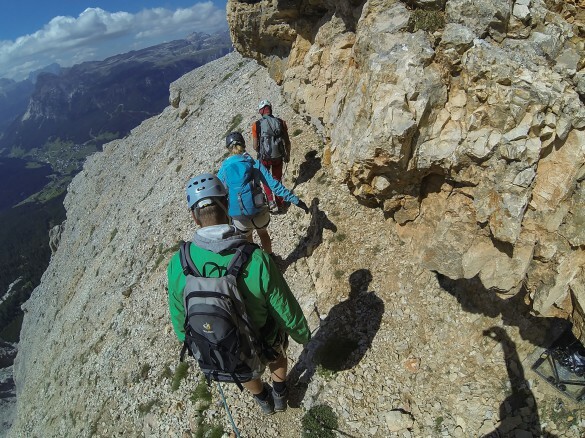 Access the via ferrata by taking the Boé lift and the Vallon chairlift from Corvara to reach the Rifugio Kostner al Vallon, which sits high around 2536m. Alternately, follow path 638 from Passo Campolongo or take path 637 from Arabba. The ferrata can be reached via the road to Passo Gardena, which in and of itself can be demanding with its hairpin curves at a height of 1956m. From the car park, continue on the marked path that leads to the start of the ferrata. Begin around 2536m at Rifugio Kostner al Vallon, which can be reached either by taking path 638 from Passo Campolongo or via the Boé lift and the Vallon chairlift from Corvara. From the chairlift, take the short 25 minute walk toward the start of the ferrata. 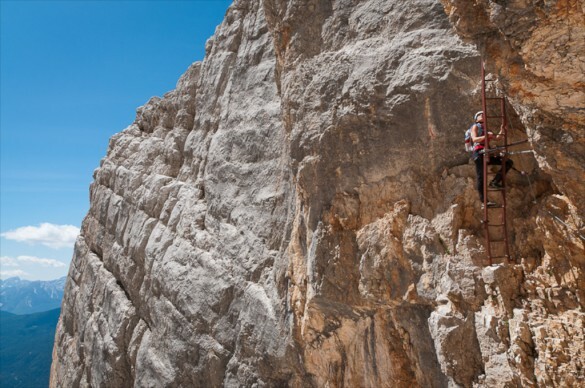 You can access this ferrata by traveling the road to the Passo Sella, then from there following the clear path heading northwest. The path will lead you below the Sella towers to a large black mark that indicates the line of a waterfall. To the right of this sits the base of the ferrata just waiting to be conquered. 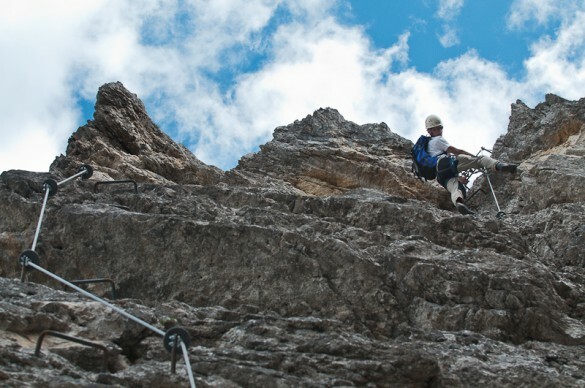 The ferrata is accessed by way of Passo Fedaia, following path 698 to Rifugio Porta Vescovo. From there, grab a cable car that leads up from Arabba. 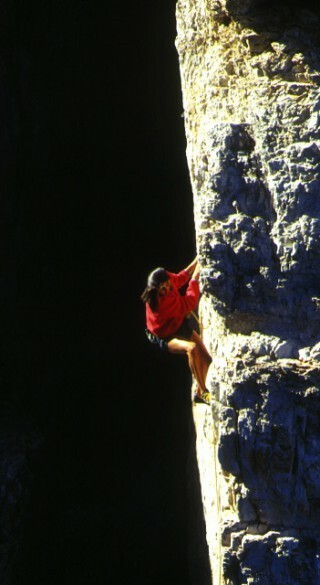 Head east toward the Mesola, following the signs until you reach the start of the ferrata, directly below Bec da Mesdi. Now prepare yourself for an unforgettable journey. 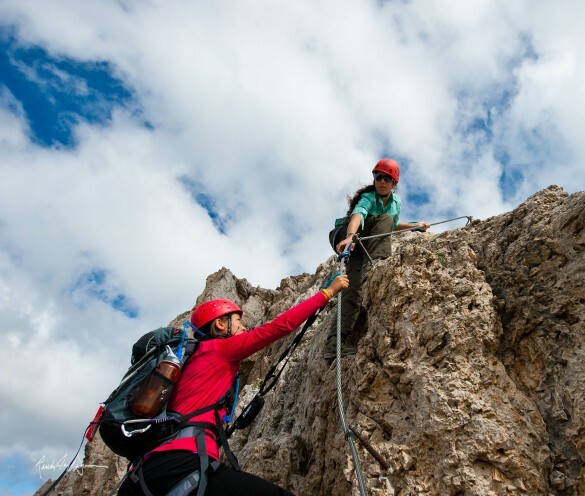 One of the most popular open air activities in the Dolomites is climbing via ferrata, along the protected mountain paths that are equipped with a series of iron ladders and holds. 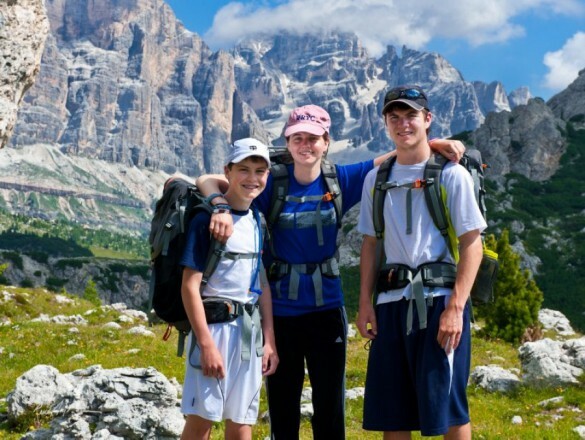 There are plenty of basic hiking trails that provide great way to get active and bond as a family while forging unforgettable memories together. And with the area’s rich history, you may even learn something while you’re at it! 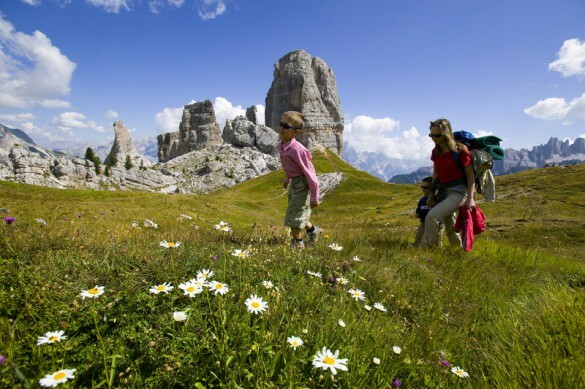 Many people don’t realize, however, that the Dolomites are also a fantastic place to visit as a family. Here are 5 great hikes that are perfect for kids to take on. The Italian Dolomites, with over 90,000 acres of breathtaking mountainous terrain, offer a glimpse of nature at its very best. With towering peaks, rolling green pastures and a truly unique ancient culture that still exists to this day, the area provides visitors with an experience unlike any they’ve had before. 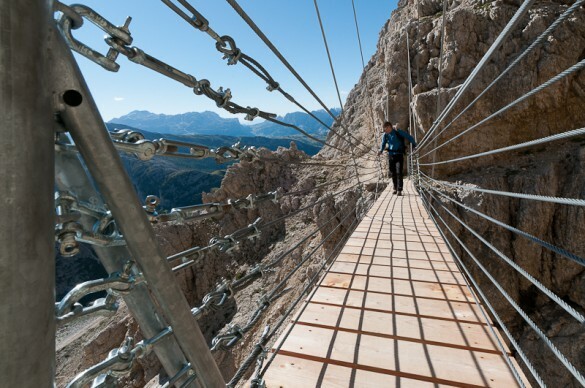 A via ferrata, iron path in English, klettersteig in German, is quite literally a route with fixed “protection” that aids travelers in moving safely through the mountains. Hikers can connect otherwise isolated trail systems together to create longer hikes. The Dolomites are hailed as one of the best rock climbing destinations in the world because of the abundance and variety of rock faces. 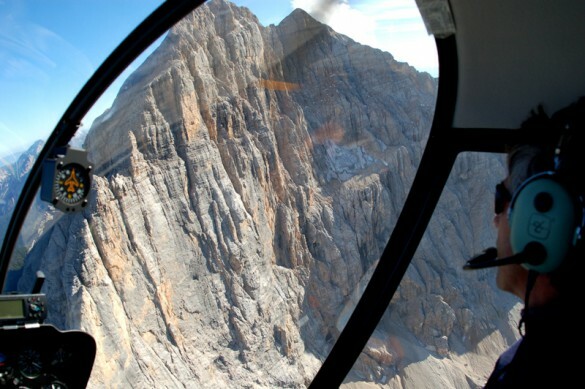 Stretching nearly 50 miles east of Bolzano, the area is vast and is split into groups connected by a network of roads, allowing climbers to easily cover several areas in one trip.